This is another restaurant that's a specialist in South Indian Food, the name "Kudla" is a nickname for Mangalore in Tulu. The Sea Food is the star of this restaurant, and their non veg Thali is a must have. The Seer Fish and Prawn is highly recommended, the Chicken Curry is also good. I would skip all Non South Indian stuff, but their not bad either. 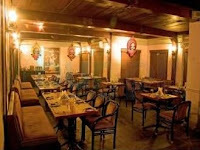 It's the second best South Canara Restaurant in Bangalore, after Coast 2 Coast. The Ambiance of the place is very comfortable, adorned with the typical costumes of Yakshagana and Buffalo Racing. They also serve alcohol, so its a nice place to head with Friends or Family for a gastronomical delight. Slightly on the expensive side. Most of us have heard of the Hyderabadi Biryani House, located at Victoria Layout and Old Airport Road that serves really masale-daar Biryani (But the meat isn't that great) and then there is the Hyderabad House located in Koramangala and Residency Road ( Aromatic + Good meat, but Very Very Dry). You also has Ritchie's in Frazer town which does a decent Dum Biryani. 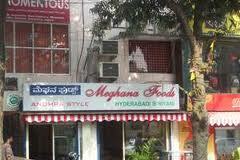 But Meghana Biryani, located in 5th Block, is different. His Fish and Prawn Biryani is fantastic, as is his side dishes in Chicken. The Ambience is decent, but always crowded owing to the college crowd. Nonetheless, if you're trying something different, head over here. I haven't been around the whole of Bangalore, but I have traveled around a lot.Most of this is because of my Sales days in L'Oreal. In fact, most of my mental landmarks have been built around H&G stores, or others. And that's also how I know many good places to eat. Though it may look like there are a lot of places to eat, it is a fact that there is a huge shortage of good restaurants in Bangalore. What Bangalore has taught me is a don't worry attitude. I mean, the worst that could happen isn't actually that bad. It's a handy lesson.